Brer Rabbit. Uncle Remus. Song of the South. Racist? Disney thinks so. And that's why it has forbidden the theatrical re-release of its classic film Song of the South since 1986. But is the film racist? Are its themes, its characters, even its music so abominable that Disney has done us a favor by burying the movie in its infamous Vault, where the Company claims it will remain for all time? Disney historian Jim Korkis does not think so. In his newest book, Who's Afraid of the Song of the South?, Korkis examines the film from concept to controversy, and reveals the politics that nearly scuttled the project. Through interviews with many of the artists and animators who created Song of the South, and through his own extensive research, Korkis delivers both the definitive behind-the-scenes history of the film and a balanced analysis of its cultural impact. What else would Disney prefer you did not know? Plenty. Plus 10 more forbidden tales that Disney wishes would go away. Whether you're a film buff, an armchair academic, or a Disney fan eager to peek behind Disney's magical (and tightly controlled) curtain, you'll discover lots you never knew about Disney. 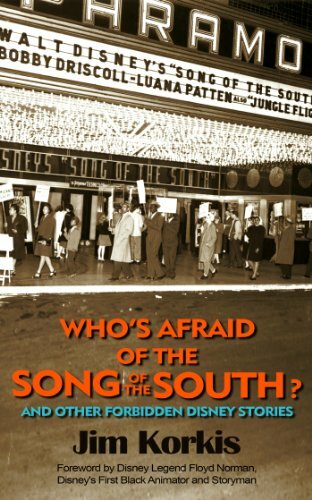 With a foreword by Disney Legend Floyd Norman, Who's Afraid of the Song of the South? is both authoritative and entertaining. Jim Korkis is the best-selling author of Vault of Walt, and has been researching and writing about Disney for over three decades. The Disney Company itself uses his expertise for special projects. Korkis resides in Orlando, Florida.